WHY CHOOSE LONDON DRIVING SCHOOL? London Driving School provides high quality cheap driving lessons in London for all levels – from complete novices or beginners, to more experienced learners or drivers wanting to refresh their skills. At our driving school in London we work with drivers of all ages and abilities. Our driving schools in the capital provides great, affordable driving lessons throughout Central and South London areas including the areas of Acton, Battersea, Brixton, Clapham, Croydon, Richmond, Streatham, Southfields, Tooting, Vauxhall, Wandsworth, Wimbledon and many more in South West London. Let London Driving School help you pass your driving test in London. Need a Short Notice Driving Test in London? We can also get quick, short notice, last minute and late cancellation dates for driving tests in London. Also check out our latest driving school deals. All of our great London Driving School instructors are fully qualified and DVSA approved, ensuring that you learn to drive in a fun, cooperative, friendly and relaxed environment. Our instructors in London will support you to develop the safest driving skills and the best driving habits at the lowest possible price. Our aim is to enable you to become a confident and capable driver. We provide a range of driving courses and lessons that are each carefully designed to help you achieve your driving licence in the quickest possible time. Our top quality driving instructors in London cover the areas of Wimbledon. Perfect for those drivers in London who have issues with gears and clutch control, learning in a car with an automatic transmission can make driving so much easier. It’s also excellent preparation for drivers preparing to relocate to the USA! Enables learner drivers to pass their driving test in only about 2 weeks whilst ensuring they are fully confident in their abilities on and off the road. 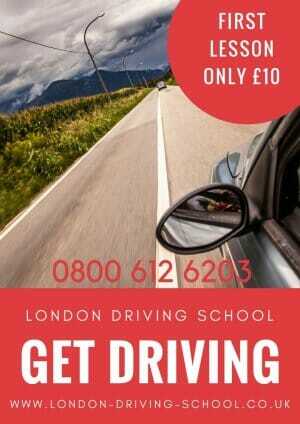 If you need a driving licence quickly this is the best course for you in London. Ideal for those drivers in London wanting to brush up on their driving skills or for those drivers who have not driven for a while, also good if you have recently failed your test. We can help book your new test and provide you with a vehicle to drive. If you are new to London this is a terrific opportunity to build your confidence driving in a busy city – possibly on the opposite side of the road! 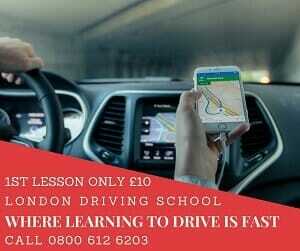 For drivers in London wanting to take their ability and skills to the next level, become a better and safer driver. This course is ideal for professional drivers, delivery drivers and chauffeurs who are required to drive as part of their daily work in London. Another name or term for the intensive driving course. Again this course provides a quicker and faster way to learn to drive in London with longer lessons in a shorter space of time to maximise learning to drive. Suitable for the complete novice or beginner these lessons are tailored to each new driver’s needs and their individual speed of learning as assessed throughout your subsequent lessons. For those Londoners ready to venture further afield and wanting to gain extra confidence on their motorway driving abilities. Motorway skills may become a part of the driving test in the near future due to the high speed nature and obvious dangers of driving on motorways at high speed. Designed to give you extra confidence once you have passed your driving test, along with substantial car insurance discounts. Some London councils will help with course costs and you can potentially save hundreds of pounds on your London Car Insurance. Have you recently failed your London driving test and need to arrange another test quickly? We can arrange short notice driving test and provide you with a vehicle in under 10 days. LDS have access to quick, late cancellations and short notice driving test date bookings in and around London and south London. Why waste your time using expensive and restrictive London public transport, enjoy the freedom of driving today. 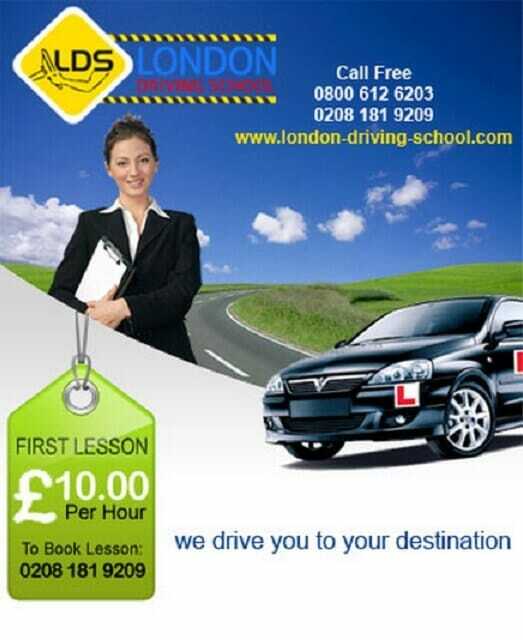 Contact London Driving Schools instructors to become a new, free and safe driver. Which driving test centre is near to you in London. We provide a range of driving courses and driving lessons each carefully designed to help you achieve your driving licence in the quickest possible time. Are you driving in London on a non-UK driving licence? If you are recently arrived from the European Union or a European Economic Area you are allowed to drive on this driving Licence for only 3 years if you become a UK resident. If you have a full and valid driving licence from another country outside of the EU you can drive any small vehicle (e.g. car or motorcycle) listed on your driving licence for 1 year if you are a resident or 12 months from when you last entered Great Britain. We also now cover Surrey.